The Texas Music Office will host a Music Friendly Community workshop on Thursday, April 18, in New Braunfels. The workshop is open to anyone interested in learning about the new Texas Music Office program that seeks to foster music business economic development in Texas cities and communities. 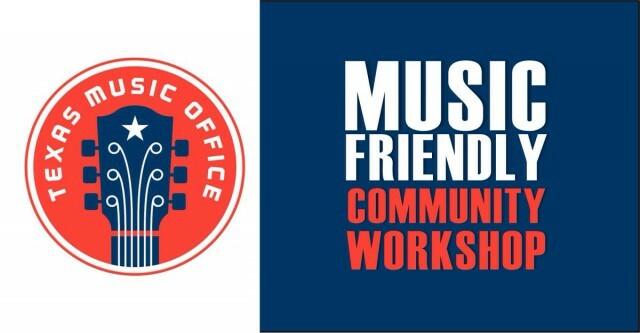 Brendon Anthony, director of the Texas Music Office within the Office of the Governor’s Economic Development and Tourism Division, will be present to explain the Music Friendly Community designation and answer questions. "With support from the Texas Music Office, the Texas music industry created more than 209,000 direct and indirect permanent jobs in communities all across the Lone Star State last year and generated $23.4 billion in economic activity,” said Governor Greg Abbott. “Music Friendly Communities certified by the Texas Music Office are serious about attracting and developing local music industry growth, and I’m proud of the work of the Texas Music Office in helping communities like New Braunfels to grow their local economy." Co-sponsored by the New Braunfels Convention Center and Visitors Bureau.